We use the latest technology for superior dental care. At Midwest Dental Center, we are always dedicated to making dental care painless and stress free for every patient. One stressor that patients don’t always take into consideration is planning for the out of pocket cost of their dental care. 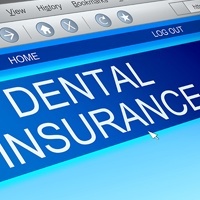 One way we help patients to offset their out of pocket treatment costs is by processing and filing dental insurance claims for most PPO providers. 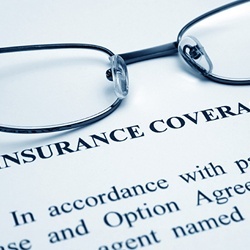 We are also happy to offer in-network coverage for a number of insurers, including Cigna. If you have insurance coverage through Cigna or another PPO dental benefit provider, please don’t hesitate to let a member of our team know when you schedule your first appointment. We will be happy to review your policy to help you receive the maximum coverage from your very first visit in our Midwest City dentistry practice. Call the Midwest Dental Center today to get started. We look forward to seeing you soon. What is Covered by My Cigna Plan? Do I Have to Visit an In-Network Dentist? One of the benefits of PPO insurance policies is that you are able to receive coverage no matter what dental office you visit. However, visiting an in-network dentist can help you to minimize your out of pocket treatment costs. In-network dentists have agreements with PPO plan providers to charge fees within a certain price range. Out of network dentists may charge fees that are higher than the insurer’s fair and average pricing, but you’ll need to pay the difference in price as well as your out of pocket costs. Typically, these differences in cost are negligible, but visiting an in-network dentist can completely alleviate the potential stress of needing to pay additional fees.